sport news Premier League title: Who'll decide it from Man City and Liverpool? The title-race pendulum looked, after 89 minutes at Anfield on Sunday, to be swinging firmly in the direction of Manchester City as Liverpool were held by Tottenham. 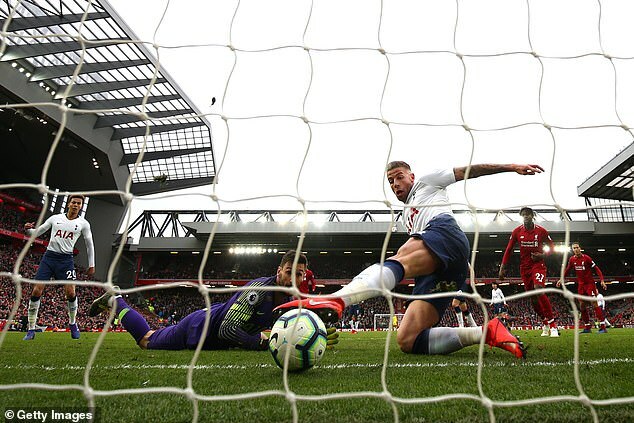 However a late Hugo Lloris error and Toby Alderweireld own goal handed the Reds victory and means it is still advantage Liverpool - just about. As we enter the penultimate month of the season, the Premier League title is still very much up for grabs - but what will be the deciding factors between now and the trophy presentation? Last season Liverpool were looking to their fierce front line to outscore all opponents, however this season the most important players for the Reds are in the defensive roles. 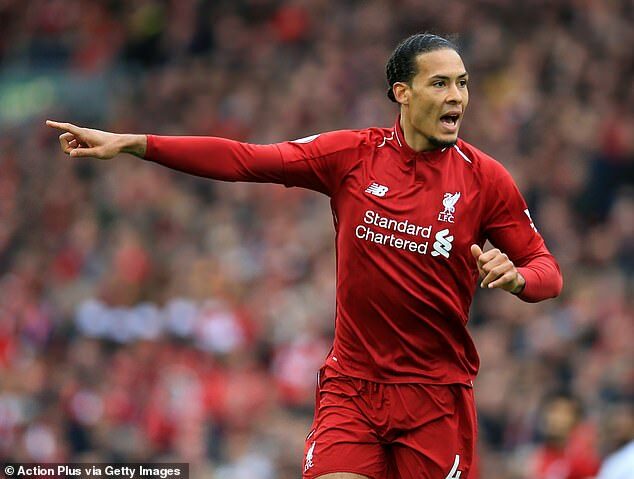 If they are to win a first title since 1990 - rather than suffer the near miss agony of 2009 and 2014, to name two - they will need Virgil Van Dijk to maintain peak fitness, and the form that has made him front runner for the player of the year awards. Many Liverpool fans will tell you Fabinho has emerged, after an uncertain first few months in England, as their best player since January, while captain Jordan Henderson avoiding a major knock on international duty was a big boost. City meanwhile have finally learned it is possible to play a balanced game without Fernandinho - they eked out three wins from games he missed with a muscle injury, with Ilkay Gundogan impressive in the holding role - and have one of the best balanced attacks in world football. Sergio Aguero knows better than anyone what is needed in a nail-biting Premier League race - see 2012 - while Bernardo Silva has been quietly excellent all campaign. Raheem Sterling, meanwhile, has proved this season he has both the temperament and the brilliant skill set to find victory in testing circumstances. 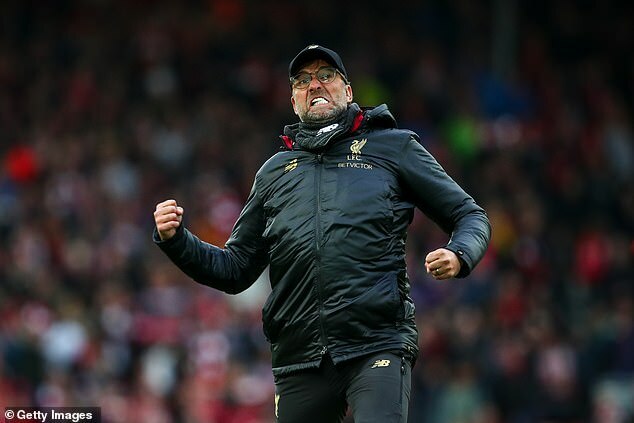 The scenes at the final whistle at Anfield were not only ones of joy and relief at a crucial and fortunate victory, but also celebrations at overcoming what should - on paper - be their biggest test remaining in the Premier League. After Southampton away on Friday, Liverpool host an out-of-sorts Chelsea. If Jurgen Klopp could have hand picked his final four fixtures, Cardiff (A), Huddersfield (H), Newcastle (A) and Wolves (H) wouldn't differ too far from his selections. Successive draws against Leicester and West Ham in January and February aside, the Reds have been reliable against sides they would be expected to beat - a fatal flaw in Merseyside title hopefuls in recent history. City, however, are in the driving seat. They have a game in hand, so win all their remaining matches (starting with Cardiff on Wednesday, whose manager Neil Warnock said he would 'play the under-23s and try to keep the score down to 10-0' on Sunday) and they are champions again. Pep Guardiola's side do have the trickier run-in however - away to bogey club Crystal Palace, home to Spurs, and their game in hand happens to be a Manchester derby at Old Trafford. Come through that tricky treble with nine points, and surely Burnley (A), Leicester (H) and Brighton (A) would be a lap of honour.